We’ve recently completed a number of items from Montgomery County Public Library that document the communities of Biscoe and Troy, NC. 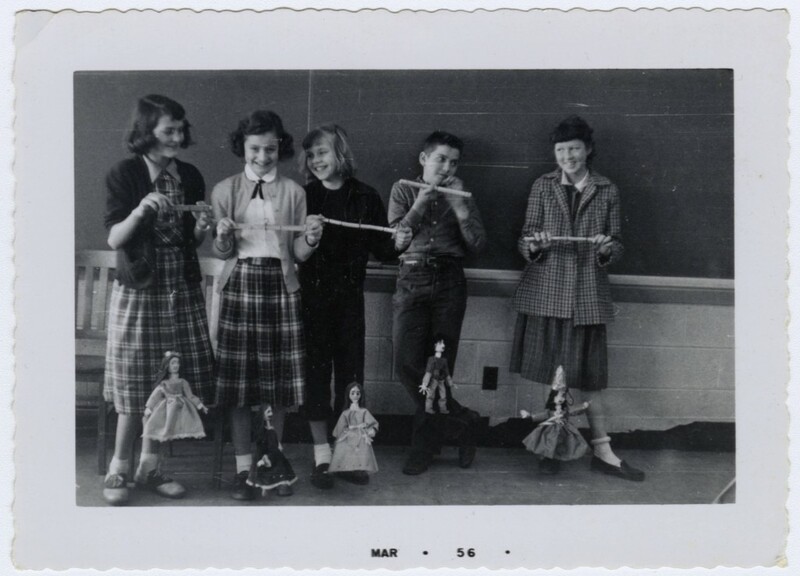 In an earlier post, we wrote about Helen Poole’s elementary school class and the marionettes she used as a teaching tool over the course of three decades. In addition to the items mentioned in that earlier post, we now have more photographs showing the different types of dramatic productions Poole’s classes created. We have almost no information on the children in these photographs; if you or someone you know went to Troy Elementary in the 1950s-1970s and could supply more information, we’d love to have it. We have also added photographs of World War II veterans, and a scrapbook documenting the Biscoe community from 1952-1954. The scrapbook includes newspaper clippings showing Biscoe’s growth and social life during that time. Finally, we’re pleased to help the Library share a considerable number of records of the Troy Rotary Club, from the 1930s to the 1980s. 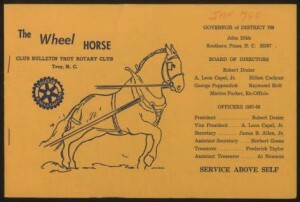 This collection includes attendance records, minutes, rosters, ephemera, and hundres of issues of the club bulletin (“The Wheel Horse”). “The Wheel Horse” is replete with personal news of the club’s members: birthdays, marriages, births, jobs taken, travel, illnesses, events, and hyperlocal goings-on (one issue discussed someone moving to a new office, and admiration of a particular Christmas tree). We were entertained by the fact that these news tidbits are freely interspersed with factoids, poems, pithy jokes, and groan-worthy puns, many of which showcase a fair bit of 1950s-1970s sexism. With all of its names and personal events, this collection could be helpful as well as interesting to a genealogist or local history researcher with an interest in Troy. You can view all of Montgomery County Public Library’s items on DigitalNC. As we reported in the spring, we have been working on a major change to the software that is behind the North Carolina Newspapers digital collection. We are migrating all of the community newspapers that we have digitized to the Library of Congress Newspaper Viewer (those of you who are regular users of their excellent Chronicling America site will already be familiar with the viewer). Those changes are currently underway right now. While the transition is underway, users may run into occasional error messages or downtime for the collection, but we are working hard to make sure that there are as few interruptions as possible. Please let us know if you experience extended difficulties with the site. We are hoping to have the migration complete by later this fall. When we’ve got everything moved over we’ll post an announcement here, which will include more information about the tools and features available in the new newspaper viewer. Granville County Public Library has contributed yearbooks and some manuscript volumes to DigitalNC, including the first yearbook on the site from Warren county. The Warrentonian  John Graham High School, Warrenton, N.C.
Pep-Pac   Henderson High School, Henderson, N.C.
Nahiscoan  Nashville High School, Nashville, N.C. Lest We Forget, a history of the Brooks family of Granville County. You can view all of Granville County Public Library’s content on DigitalNC. Detail from a 1961 map of downtown Wadesboro, N.C.
We’ve recently finished work on group of mid 20th-century town and property maps from Anson County. The maps are held by the library at South Piedmont Community College in Polkton, N.C. There are 48 maps now available online, ranging in date from the 1940s through the early 1970s. 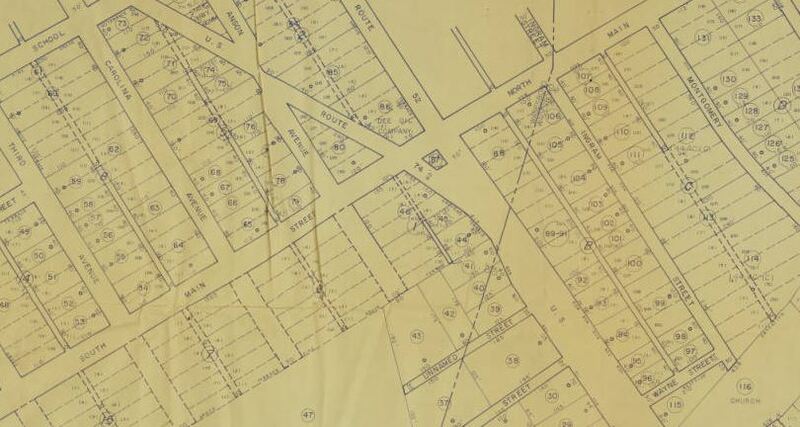 A few of the maps show the town of Wadesboro, but the majority detail the boundaries of specific properties, including factories, churches, cemeteries, and schools. 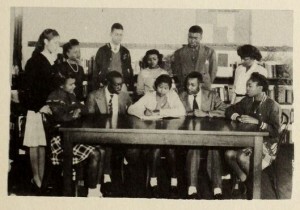 Yearbook staff from the Johnston County Training School, 1947. These yearbooks, combined with contributions from the Benson Museum of Local History and the Hocutt-Ellington Memorial Library in Clayton, add up to more than 200 yearbooks from Johnston County alone. 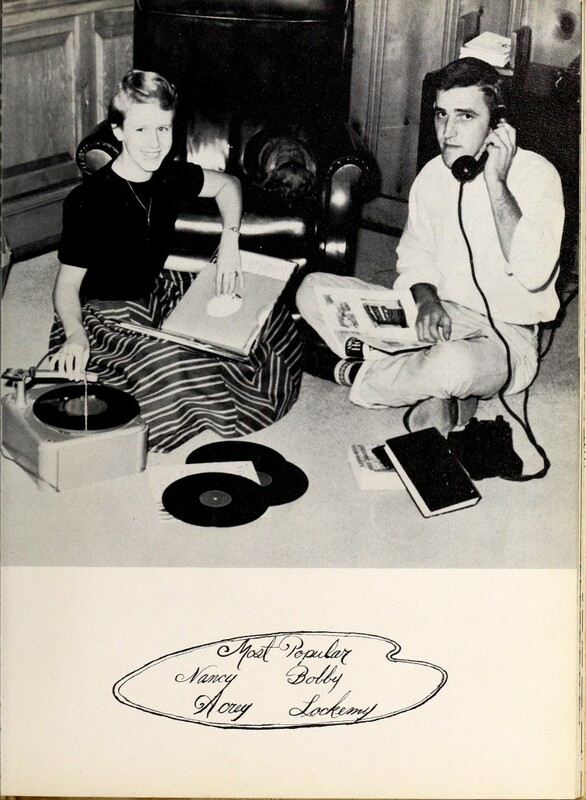 The yearbooks span more than four decades and come from 18 different schools.